The pre-built, factory default layouts are an out-of-the-box place to start using TC2000 without the need to create any personal layouts. 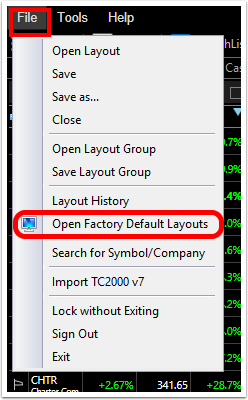 To open the group of pre-built layouts as designed originally in TC2000, click the File menu and choose Open Factory Default Layouts. 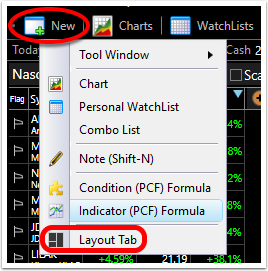 Access any of the pre-built layouts individually by clicking the New button in the main menu and choose Layout Tab. This opens the Select a Layout menu. 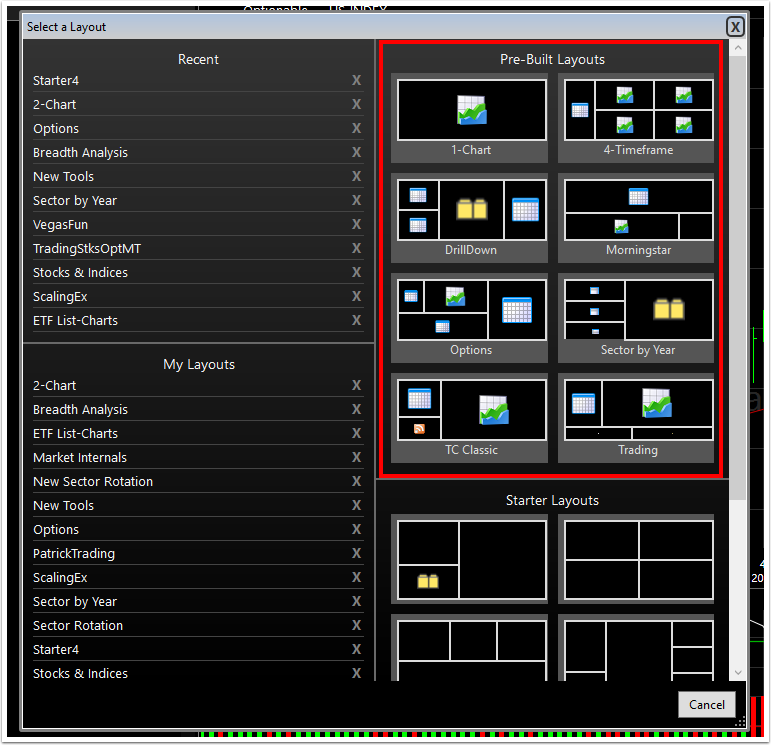 The top right section contains all the pre-built layouts included in the program. Select the layout you want to add to your Layout Group.